November 17, 2015 – Flowers could be blooming on the International Space Station after the New Year. Yesterday morning, Colorado astronaut Kjell Lindgren activated the Veggie plant growth system and its rooting “pillows” containing Zinnia seeds on the space station. This marks the first time that a flowering crop experiment will be grown on the orbiting laboratory. Lindgren will turn on the red, blue and green LED lights, activate the water and nutrient system to Veggie, and monitor the plant growth. The Zinnias will grow for 60 days, which is twice as long as the first and second crop of Outredgeous red romaine lettuce that grew on the space station. During the growth cycle, the LED lights will be on for 10 hours and off for 14 hours in order to stimulate the plants to flower. Growing Zinnias in orbit will help provide precursory information about other flowering plants that could be grown in space. “Growing the Zinnia plants will help advance our knowledge of how plants flower in the Veggie growth system, and will enable fruiting plants like tomatoes to be grown and eaten in space using Veggie as the in-orbit garden,” said Trent Smith, Veggie program manager at Kennedy. Researchers also hope to gather good data regarding long-duration seed stow and germination, whether pollen could be an issue, and the impacts on crew morale. Growing tomato plants on the space station is planned for 2017. 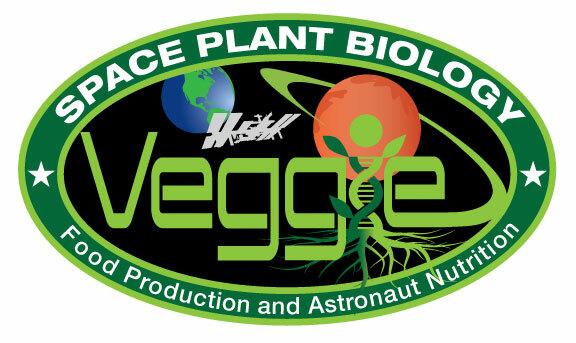 Veggie, along with two sets of pillows containing romaine seeds and one set of zinnias, was delivered to the station by SpaceX on the third cargo resupply mission in April 2014. Colorado Astronaut Steve Swanson grew the first crop of lettuce in space in 2014. That harvest was brought back to Earth for testing. In August of this year, Scott Kelly, Kjell Lindgren and Kimiya Yui of Japan became the first astronauts to sample vegetables grown in space when the second growth of “Outredgeous” red romaine lettuce was harvested. The Veggie system was developed by Orbital Technologies Corp. (ORBITEC) in Madison, Wisconsin and tested at Kennedy before flight. ORBITEC is a wholly-owned subsidiary of Sierra Nevada Corporation, which manufactures its space systems in Louisville, Colorado.